Speaking of awards, nominations for the 2016 Hugo Awards will be opening soon... so maybe I should post a few more thoughts about some works I think worthy of consideration. I talked about the two Dramatic Presentation categories in previous posts, and also mentioned NEMESIS GAMES by James S.A. Corey as a possible contender in Best Novel. Tonight I want to draw your attention to a couple of possibilities for Best Related Work. Now, I will freely admit that Best Related Work is not my favorite Hugo category. It is kind of a grab bag category, the place fandom puts stuff that it likes that doesn't fit anywhere else. Nobody really seems to have a clear idea what a "related work" is... but past nominees have included biographies, autobiographies, essays, critical works, encyclopedias, science books, graphic novels (before there was a graphic novel category), and other, stranger things. This year, I think there a couple of strong 'related works' worthy of attention. 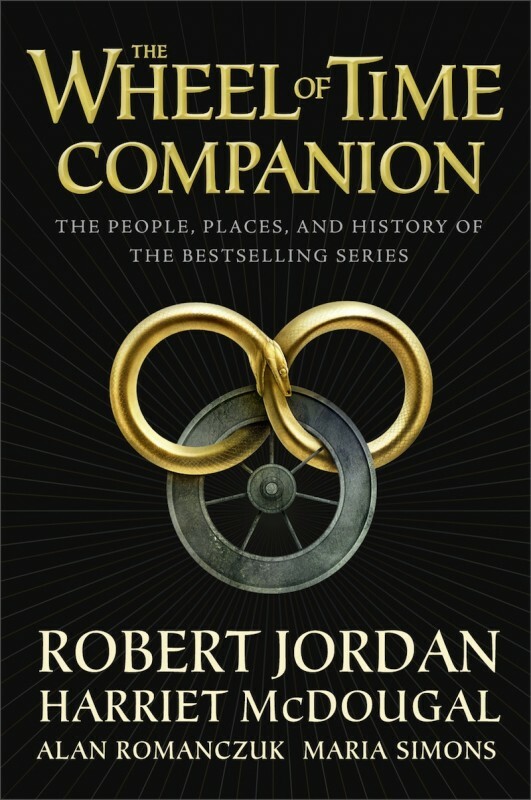 THE WHEEL OF TIME COMPANION was a mammoth concordance of facts about the universe and characters of the late Robert Jordan's epic fantasy series, edited and assembled by Harriet McDougal, Alan Romanczuk, and Maria Simons. It's a labor of love, and everything one could possibly want to know about Jordan's universe is in there. Robert Jordan was a giant in the history of modern fantasy, but during his lifetime he was never nominated for a Hugo, for a Nebula, for a World Fantasy Award (the entire WOT series was nominated at Loncon after his death, but lost). The COMPANION is worthy of consideration in its own right, I think... and a Hugo for Harriet, Jim's widow and Jim's editor, would be a splendid way to acknowledge his contribution to the genre he loved so much. Biographies and memoirs have often contended and won in this category before: Jack Vance's memoir was a recent winner, as was a brilliant biography of Alice Sheldon. The first volume of William Patterson's Heinlein biography was nominated (though it lost). This year we have something different: Felicia Day's delightful look at her life, YOU'RE NEVER WEIRD ON THE INTERNET (Almost). No, Felicia's not an SF writer like Vance or Heinlein or Pohl... but she's certainly an SF person, the queen of the geek girls, an actress, a gamer, a producer. Her whole life has been lived in and around the worlds of SF and fantasy, and her credits include EUREKA and THE GUILD and DR. HORRIBLE'S SING-ALONG BLOG and SUPERNATURAL and... Her book is a lot of fun, witty and wise and insightful... and besides, if she was nominated, maybe she'd come to Kansas City, and it would be a hoot and a half to have Felicia at MidAmericon. So there you are. Two books to consider when nominating for Best Related Work. I am sure there's other good stuff out there as well... let's get some of it on the ballot this year. I haven't seen Felicia Day in anything but a video game called FALLOUT NEW VEGAS. But in that game, she provided voice acting for (possibly) my favorite companion, Veronica Santangelo. Veronica is snarky and funny and rarely takes much seriously, but at the same time is a tragic character trying to preserve the group she was born and raised in even as their refusal to change their ways brings them closer and closer to extinction every year. These games sometimes have a 'golden ending' for groups and characters, the best possible outcome in which everything turns out perfectly. She has no such ending: every possible outcome for her has some level of bittersweetness. All of that would have fallen flat without a good voice actress, but Felicia pulls it off. I don't know Felicia Day from anything but that, but her making that character come alive is enough to make me a fan. I was hoping THE WHEEL OF TIME COMPANION would be more akin to THE WORLD OF ICE AND FIRE. The COMPANION was actually a bit of a let down. The COMPANION is a concordance. WORLD OF ICE & FIRE contained hundreds of thousands of words of new (fiction) fake history, and a ton of artwork. She was also on Buffy! You can't leave out Buffy the Vampire Slayer if You list someone's work. It's just wrong. And I also think that her proper title is Geek Goddess. I know your opinion on fan fiction, and messing with other peoples worlds, so can you share your thoughts on Brandon Sanderson's contribution to the Wheel of Time series? Do you approve, or would you prefer that the books were left as they were? That was Harriet's choice, and Jim's. Consider World of Ice and Fire plz! No, don't. It's not eligible. It was published in 2014, not 2015. I am not sure it would have been eligible in 'Related Work' in any case, and so much of it was essentially new fiction, in the guise of fake history. Thanks for doing this GRRM! This year was the first time I voted in the Hugos, and it was all because of you. I am very exited to participate again this year. My apologies for going off topic a bit, but I wonder if you would be so kind as to answer a quick ASOIAF question I've been pondering. I have read quite a lot of your other stories (they are wonderful by the way), and I think Danelle Lothston is one of the most interesting characters you have created thus far. Might we be learning more someday soon about the crazy skinchanger that may be Mad Danelle? To a true Master of his Craft. Possibly... in future Dunk & Egg stories. But no promises. Something I really would like to see on the ballot is Gary McGath's filk history: Tomorrow's Songs Today. It's available as a free ebook after a successful crowdfunding. It's strange that out of the million Hugo categories, there's no award for poetry, even though quite a few SFF mags publish it. BTW, the two books you recommend here seem interesting. Can we talk about our nominees for other categories here? I haven't read a lot of this year's possible contenders, but my word, THE CHIMES by Anna Smail. A dystopia unlike any other. It's gotten very little word reception around fandom, though the mainstream longlisted it for the Man Booker Prize. A great, sweeping tribute to the power of music and memory. It had me in tears. NEMESIS GAMES was pretty kickass, too. It's a shame Dan Abraham didn't publish THE SPIDER'S WAR this year; I'd have liked to vote for the entire series. Maybe next year. Re: Can we talk about our nominees for other categories here? I would rather focus the discussion on the category in the original post. There are other posts -- some past, some coming -- where comments on other categories would be welcome. Marc Aramini's Between Light and Shadow: An Exploration of the Fiction of Gene Wolfe, 1951 to 1986 (part 1 with part 2 in the works) is a wonderful related work that analyzes and celebrates Grand Master Wolfe's short stories with wonderful wit and erudition. It is a pure labor of love and one that deserves more attention if you are a fan of Wolfe or short SF. Check it out! 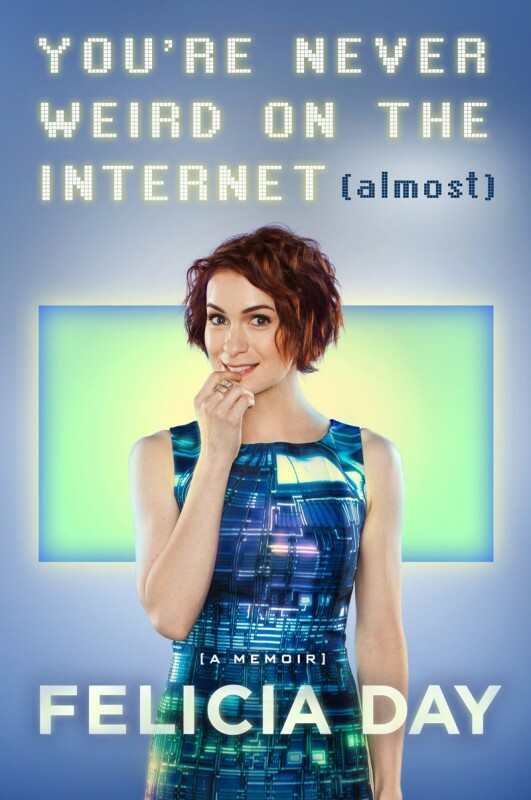 I didn't know about Felicia Day's book, but now I'm looking forward to getting it & reading it! :) Glad you shared this. Hi, George! I've been a fan of your blogging since I read your balanced and (corny as it sounds) wise thoughts and suggestions regarding the Hugos of 2015. Gravity Falls: Cryptids, weirdness and some mind-boggling cryptology hidden in the program. There is a passionate following of cryptologists to this show, as a casual Googling will attest. Steven Universe: Outwardly a simple, charming show about a sensitive nitwit; regular viewing will reveal an epic sub-plot that intrigues and amazes. There is some very sensitive, intimate writing here too (including some of the most subtle gender explorations on the air). Rick and Morty: This show baffles me. The art style and base body-humor make it appear as a run-of-the-mill teenage boy gross-out cartoon. And yet...the creators are undoubtedly science fiction readers and movie fans. R&M is a science fiction satire on the scale of Hitchhiker's Guide to the Universe or, a grosser, edgier version of Futurama (itself rife with wonderful sf/f references). Getting beyond the gross-out humor is hard, but once you do, you'll find that the stories have complex science fictional plots and twists. I will admit, though, that getting past that to inspire people to nominate this will be difficult! BTW, wish you and your family happy holidays, hoping to hear about the Son of Kong soon! Sorry, I'm not familiar with that series.